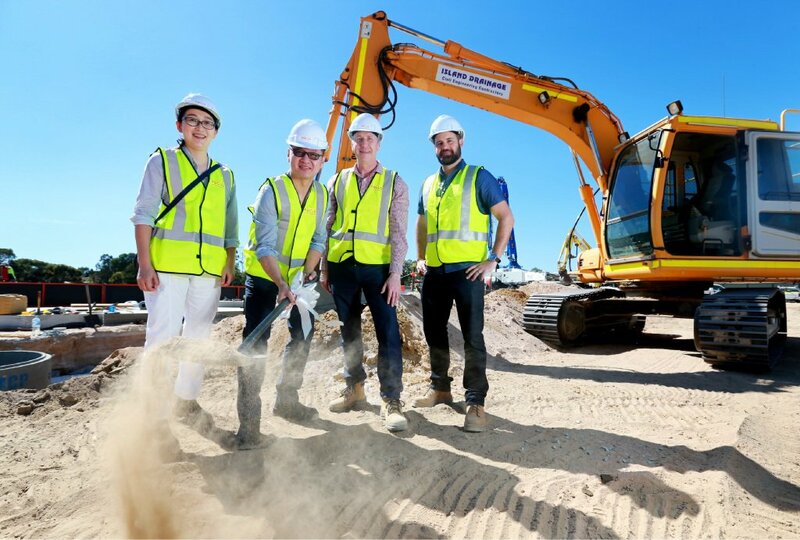 Hoi Chen, Kim Su, David Welsh and Marc Spadaccini turn the soil at the Waterhall Shopping Centre site in South Guildford. The Su family plan to open Waterhall Shopping Centre in October. Architect Marc Spadaccini said the centre opposite the Waterhall Estate in West Parade would provide an IGA supermarket, medical centre, cafe, liquor store and five speciality shops. “KPA Architects are excited to finally bring a neighbourhood shopping centre to the South Guildford community,” he said. South Guildford resident Clare Bennett welcomed the news. “I have been waiting so long for a shopping centre I can walk to, very exciting,” she said. The new building will provide a City of Swan-managed community facility for youth groups and other local organisations.